Career skills programmes at universities usually focus on interview and resume-writing skills, and are mostly for graduating students. 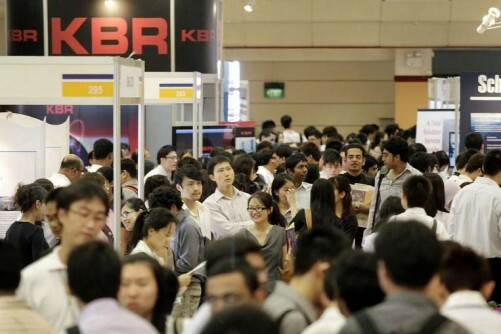 But at the National University of Singapore (NUS), more than 2,000 freshmen have started attending pilot programmes that teach them how to cope with change and failure, and market themselves to employers by building a strong personal brand. Over the next three years, NUS is investing $10 million into these initiatives. One of them is the 10-week Roots & Wings programme, which began running last month. It is offered by the NUS Centre for Future-ready Graduates (CFG), a new career centre that started last year. The first part of the programme, called Roots & Wings 1.0, includes workshops and online video modules that introduce simple activities like mindfulness breathing exercises, to increase students' self-awareness. The second part, Roots & Wings 2.0, involves workshops in smaller groups of about 30. These aim to get students to reflect on their strengths and aptitudes, and delve into the psychology behind their behaviours and attitudes. Through better understanding of their underlying values and motivations, students can gain an analytical foundation that allows them to find out how to build their personal brands and market themselves to employers. During sharing sessions, "we observed that students tend to use the collective 'we' to express what they feel and are hesitant to assert themselves as individuals", Ms Crystal Lim Leahy, 36, director of the CFG, told reporters at the NUS Career Fair yesterday. "But employers like Google or Vodafone have given us feedback that they need job candidates to take on a more entrepreneurial mindset, and articulate what they stand for in an age of change and technological disruption," she added. In addition to career counsellors, the CFG will recruit more personal development trainers as well as industry relations managers who can keep students abreast of changes in the economy, raising the centre's total number from 27 to about 55 in the next two years. First-year NUS electrical engineering student Ong Ming Lun, 21, has learnt to see things in a multi-disciplinary light after attending the Roots & Wings 2.0 programme, which teaches him skills like emphatic communication. "I've learnt how to better communicate my ideas to different individuals, and broaden my horizons with perspectives from other disciplines," he said.